If you’re looking for a choir in Richmond, Surrey, or the surrounding area, then look no further! 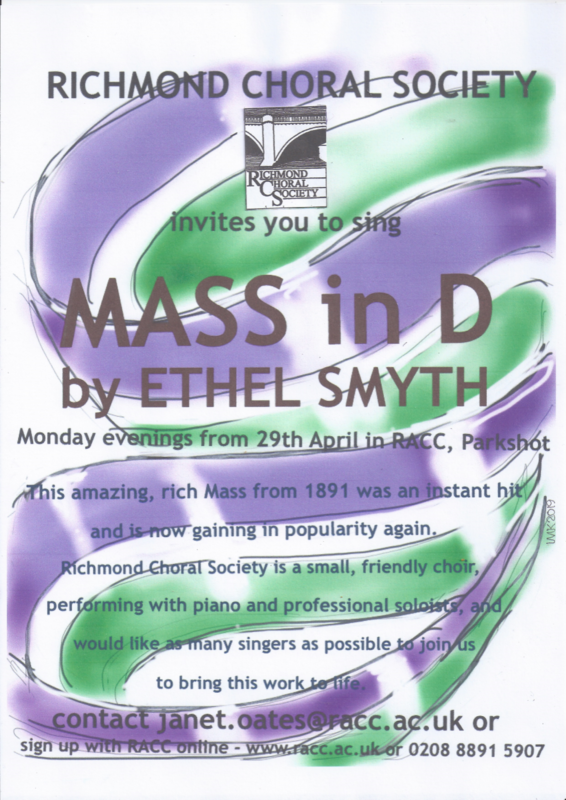 The Richmond Choral Society runs as an evening class at Richmond Adult and Community College (www.racc.ac.uk) on Monday evenings. We are a non-auditioning choral society of about 30 members, very friendly and welcoming. Our repertoire ranges from the baroque to 20th century with each term seeing us work towards a concert in a local venue. We pride ourselves on the friendly, welcoming atmosphere that will greet you on your first visit – and, indeed, on every subsequent visit, too! And you’ll be learning some great music along with the rest of us at the same time.